Give a man a fish and you feed him for a day; teach a man to fish and you help lower his risk for depression. 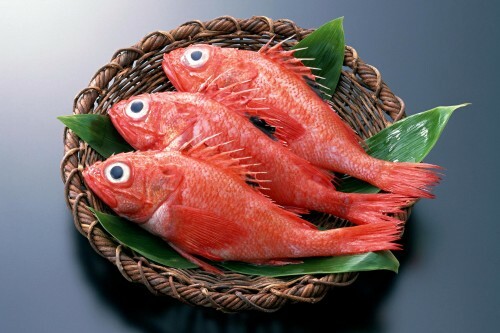 It may not be as catchy as the old saying, but with theJournal of Epidemiology & Community Health‘s recently published meta-analysis study, which found a link between high fish consumption and lower risk of depression, it may be just as true as the other, more well-known adage. In the meta-analysis study, researchers looked at 26 observational studies published between 2001 and 2014 focused on fish consumption and depression. Ten of the studiesinvolved monitoring people who don’t suffer from depression over an extended amount of time to see who developed it, also known as a cohort study. The remaining studies were cross-sectional, observing the association between a condition (in this case, depression) and other variables of interest in the participants at a particular instance in time, or over a longer period of time. All in all, the studies involved 150,278 people, with 10 of the studies involving participants from Europe, seven from North America, and the rest from Asia, Oceania, and South America. So, what were the findings? A statistically significant association was discovered between fish consumption and depression, with people who reported eating the most fish at a 17% lower risk of depression than those who ate the least amount. Interestingly, these results were only for the European studies. When researchers investigated the role gender played, they found a stronger association for men (a 20% decreased risk of depression) than women (16%). It’s important to note that these results were related only to the European studies, and that no causal relationship was found, only an association. Though scientists have yet to determine what exactly is at play here, they think it may be related to the omega-3 fatty acids found in fish, which may affect dopamine and serotonin levels. Others postulate that omega-3 fatty acids’ ability to decrease inflammation and increase blood flow may also have some effect. Increased blood flow, huh? Well, we know that certainly makes certain parts of your body happier.